Now I guess Samuel and Mary Ecroyd were pretty pleased with their new house on Nicolas Road. Number 91 was a bigger property than their previous one on Oswald Road and while the garden may have been much the same size there was still open land to the rear with views across to the Baptist and Unitarian Chapels on Wilbraham Road as well as some of the posher houses Chorlton had to offer. 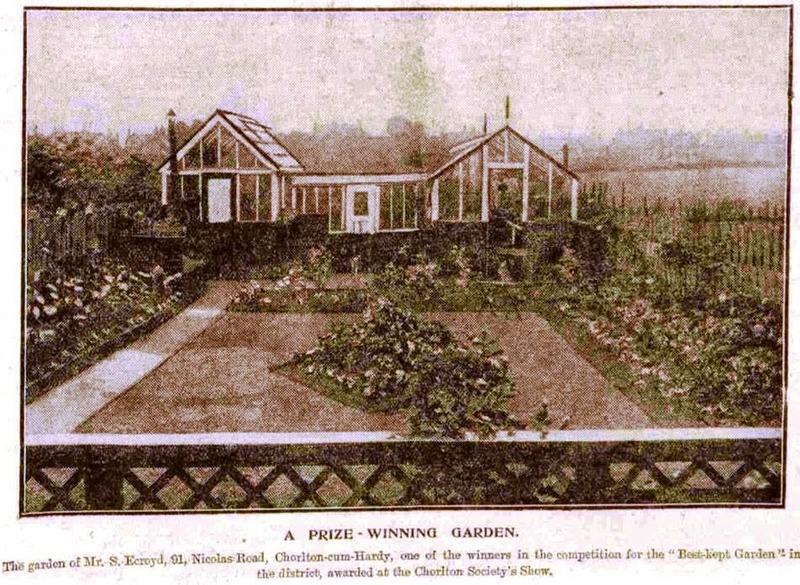 But judging by this photograph from the Manchester Courier of 1909 Mr Ecroyd would have been more interested in his garden and rightly so because he had just been awarded a prize for one of the “Best-kept Gardens in the district” at the Chorlton Society’s Show. 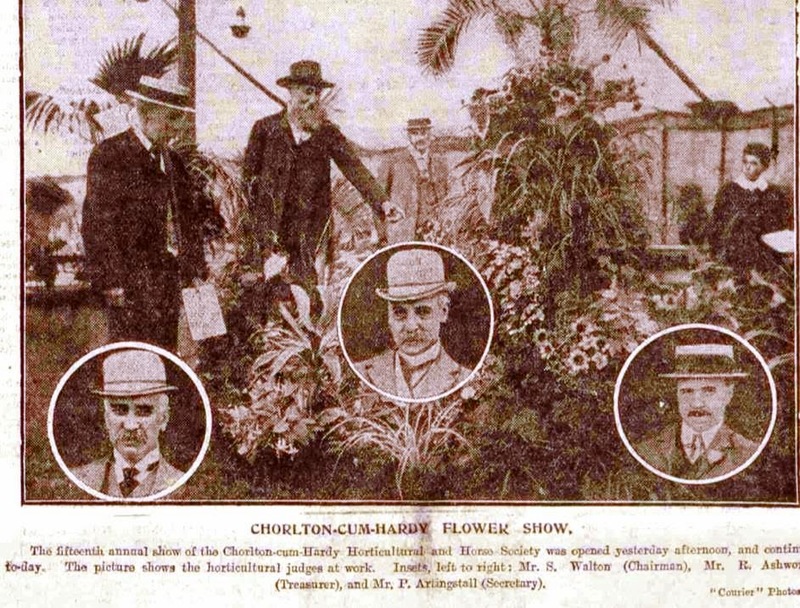 Now the Society had been established in 1894 and in its way is another indication of how Chorlton had moved from a rural community to a suburb of Manchester. In a little over two decades many of the fields had been lost and in their place were rows of new houses with small neat gardens and yards which cried out for flowers, bushes and orderly borders. It was almost as if in the advance of brick and glass the new inhabitants needed the greenery, and according to the newspaper reports the shows were an important part of the community. I already know that Samuel Ecroyd was 56, a draughtsman and had been married to Mary for 14 years. She was ten years younger than him and they had no children. They represented that new group moving in to Chorlton who were what we might call the middling people, made up of skilled, clerical and professional occupations. Twenty years earlier Samuel had been living at home in Newton and Mary had been in Manchester.